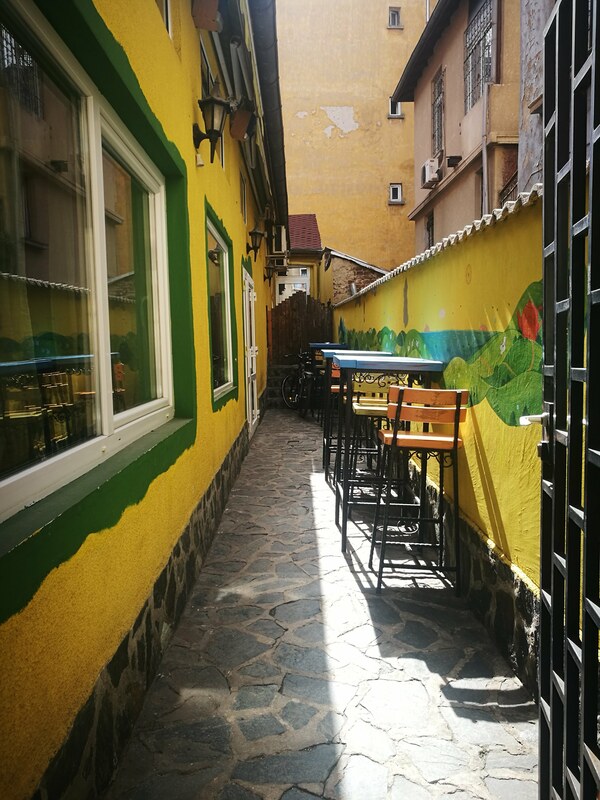 Sofia was a city that surprised me as a foodie who is travelling the world. I’ve been to other Eastern parts of Europe before and normally it can be a bit of a challenge finding healthy and/or vegetarian/vegan food. This is definitely not the case for Sofia. 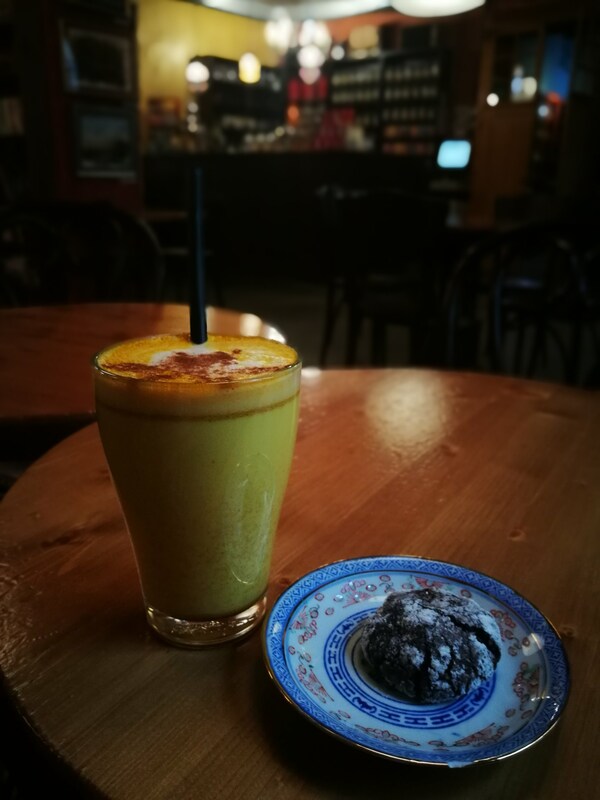 In my six days staying in Sofia, I was able to try so many amazing places at the coolest restaurants and tea houses. In this guide I will share my favourite spots with you guys. Something I always try to do when visiting a new city is finding an indoor food market and buy some fresh fruits, veggies or a local delish. In the heart of the city centre you’ll find this beautiful central market hall in Sofia. It’s not big, but still fun to check it out and do some groceries. Here you can also try the famous Bulgarian Banitsa: a pastry filled with cheese normally (it looks and tastes like the Serbian Burek/Börek). Another must try for the daredevils among us is the drink Boza: this is a drink made of fermented wheat. Try it yourself and decide if you like it (I definitely didn’t). Address: bulevard “Knyaginya Maria Luiza” 25, 1000 Sofia Center. 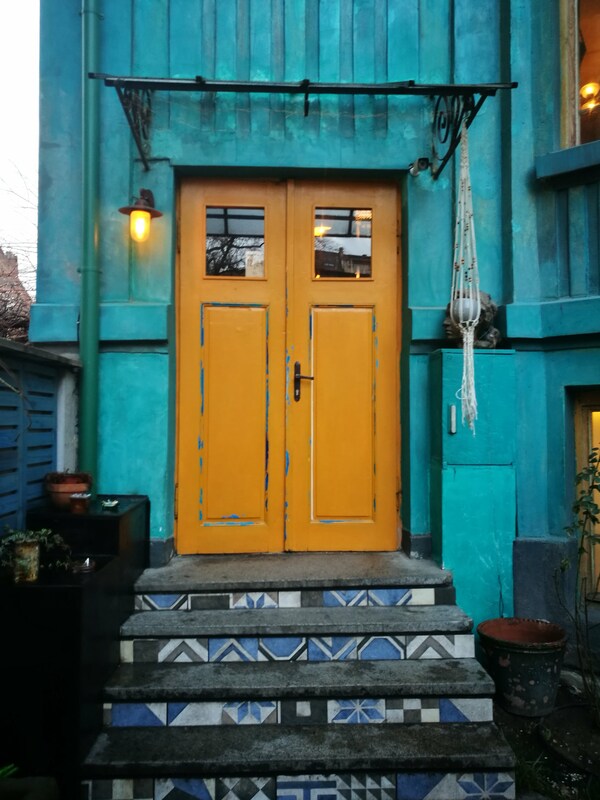 This restaurant was my absolute favourite when visiting Sofia. Sun & Moon only serves vegetarian and vegan food and the menu has such an amazing variety. 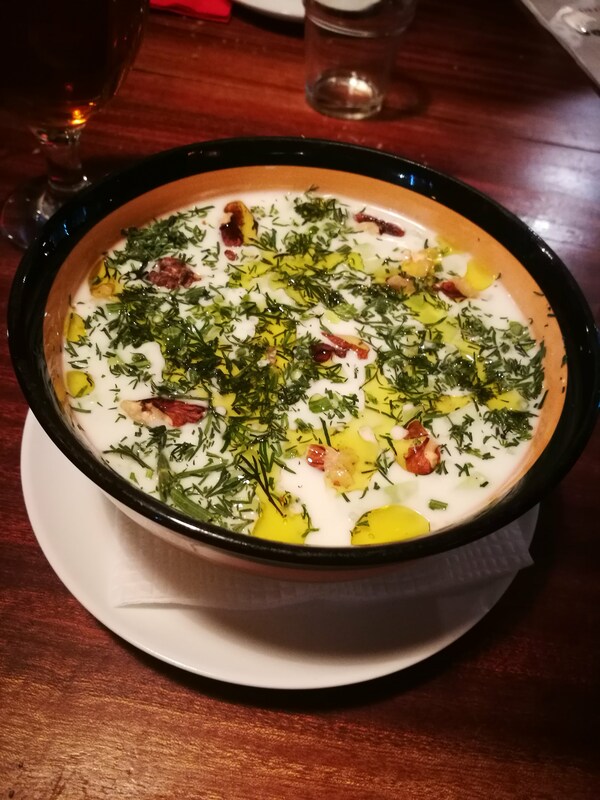 Bulgaria has some famous soups and I would absolutely recommend it to try one or two of them here. 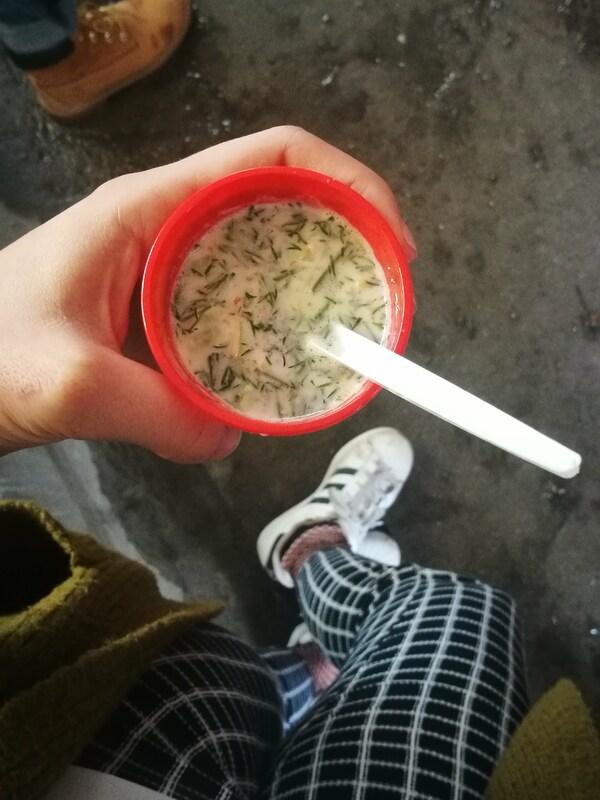 I tried the cold yoghurt based soup Tarator and the normally tripe based soup Shkembe Chorba. Another must try Bulgarian meal is Mishmash: a tasty dish with eggs as main ingredient. 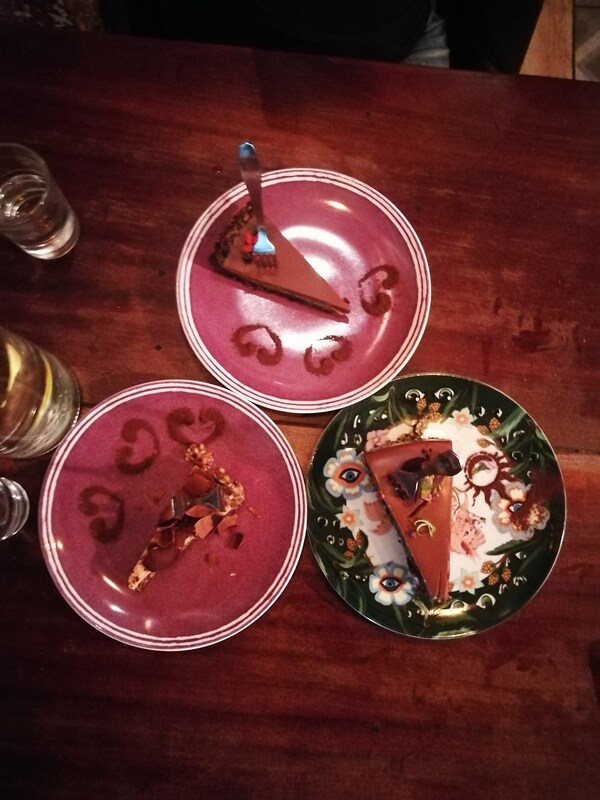 Make sure to keep some space in your belly to try one of the many (raw) home made cakes. We even came back to this place just to buy more cake (they do take way too). 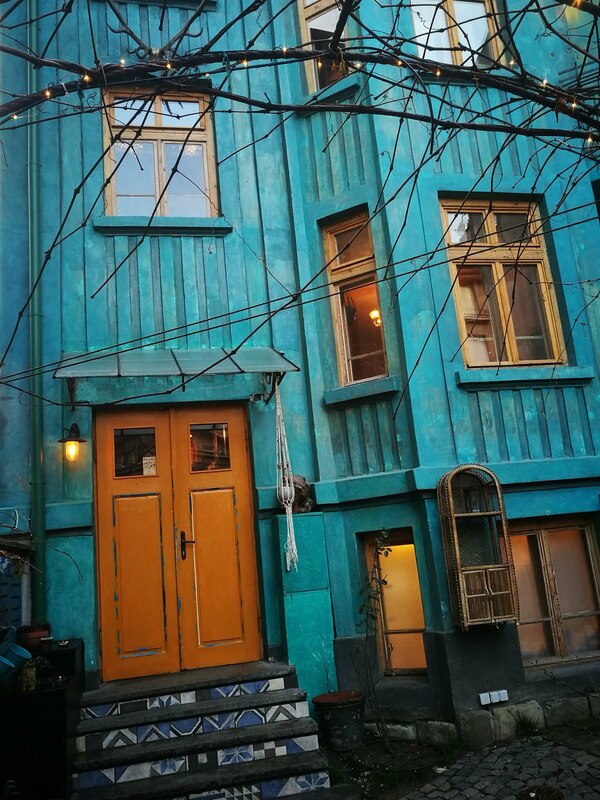 Another recommendation for a vegetarian restaurant is Dream House. Some of the people I met in the hostel went there and they were really positive about it! It’s a bit more cheaper than Sun & Moon and they do a nice all you can eat lunch buffet every Sunday. 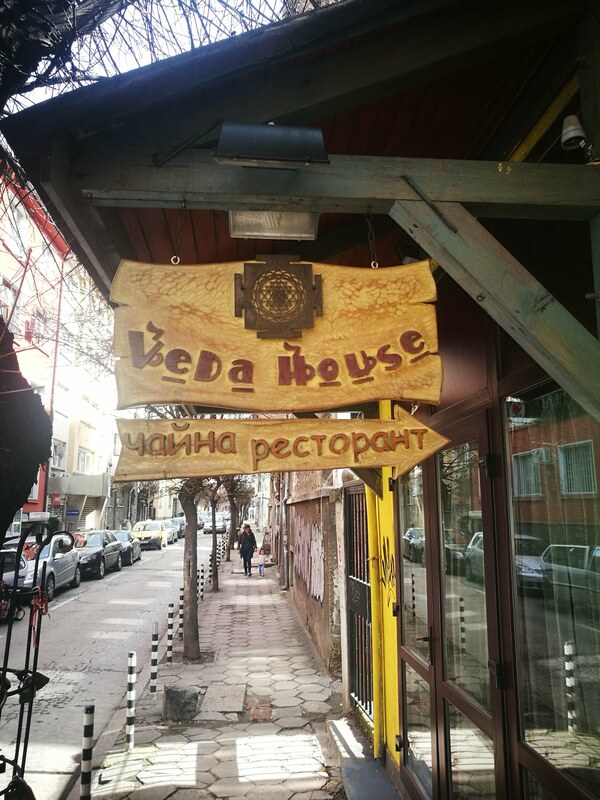 Address: Ulitsa 6-ti Septemvri 39 | Small Five Corners, Sofia 1000. 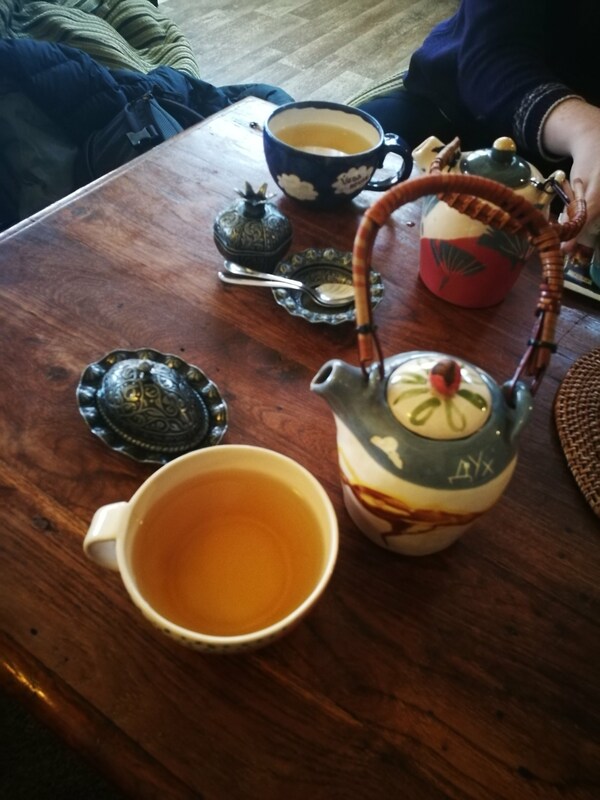 This Ayurvedic tea house is the perfect place to relax and give yourself some time to let all your adventures into your mind. They serve over one hundred teas and have a small menu for lunch and dinner too. I loved how you had to take off your shoes and just sat on the floor on some pillows. In the Ayurvedic view of life there are three doshas (Vata, Pitta and Kapha) each describing specific characteristics. Most people are a combination of those three, but most of the time one is more present than the other two. In the tea menu of Veda Tea House you can find out which dosha you are and which tea would be good for you; an interesting touch! Address: ul. “William Gladstone” 2, 1000 Sofia Center. This place is a bit hidden but once you find it, you probably decide this is the perfect place to spend some hours on a (rainy) Sunday morning while writing in your journal or reading in your book. 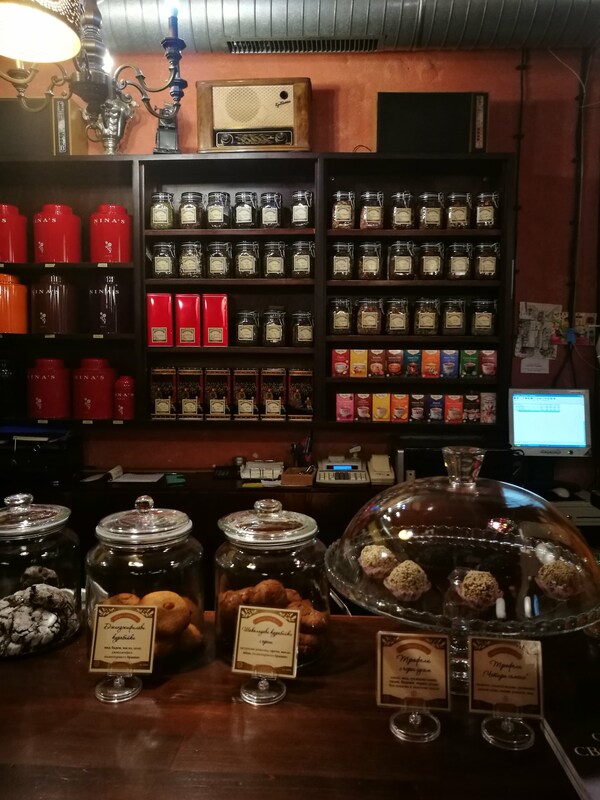 They have dozens of tea flavours, amazing lattes (including a turmeric and matcha latte) and some sweets. If you’re craving some more food, they even have a good looking lunch menu (unfortunately I didn’t try this because we were doing the Balkan Bites Food Tour later that day). And apparently there is live jazz music too every day, so check it out! Address: ul. “Georgi Benkovski” 11, 1000 Sofia Center. 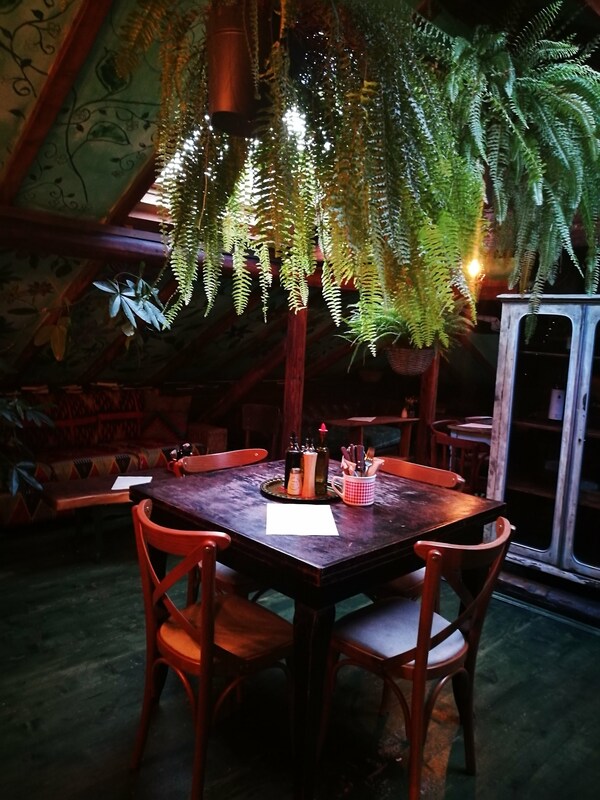 This restaurant was such a pleasant surprise! When we we’re discovering some good books at the Elephant Vintage Book Store we asked one of the employees if he knew any good food recommendations. And those recommendations brought us to the restaurant Made in Blue which is just around the corner of the book store. The name of the restaurant immediately makes sense when you’re standing in front of the restaurant. The big old building is completely renovated and they painted the whole exterior of the house blue! The inside is just as beautiful as the outside, where the nature theme is breathing through the building. And then of course: how is the food? The menu has so many good and healthy choices and it was absolutely delicious! We had quinoa salads (mine with grilled goat cheese, dried cranberries, caramelized walnuts, rocket and pepper) and they were perfectly filling. The prices are a bit more higher than Bulgarian standards (the salads were around 12 lev (6 euro), but still way more cheaper in comparison with the prices in Western Europe. Address: ul. “Yuri Venelin” 6, 1000 Sofia Center. As I shared in my article How To Fall in Love With Sofia when I heard there was a free food tour my heart skipped a beat. Okay, maybe that is a bit dramatic, but one of my favourite things to do when travelling is experience the local food. This tour brought us to four different spots where we were able to try some local dishes while they were telling us the history of the specific local food. 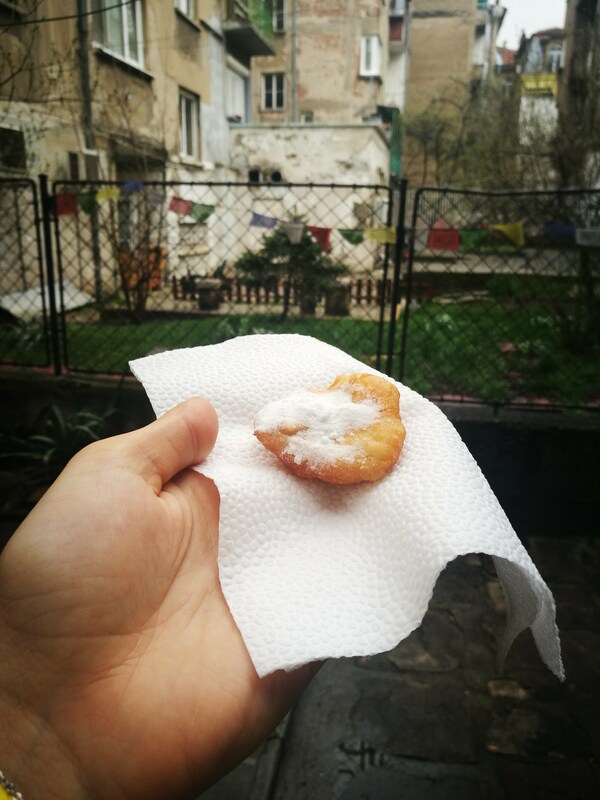 We tried some Bulgarian yoghurt soup with cucumber called Tarator, the famous pastry Banitsa (most of the time filled with white cheese, but there are plenty of yummy variations), some deep fried dough snack (how can you say no to that?) 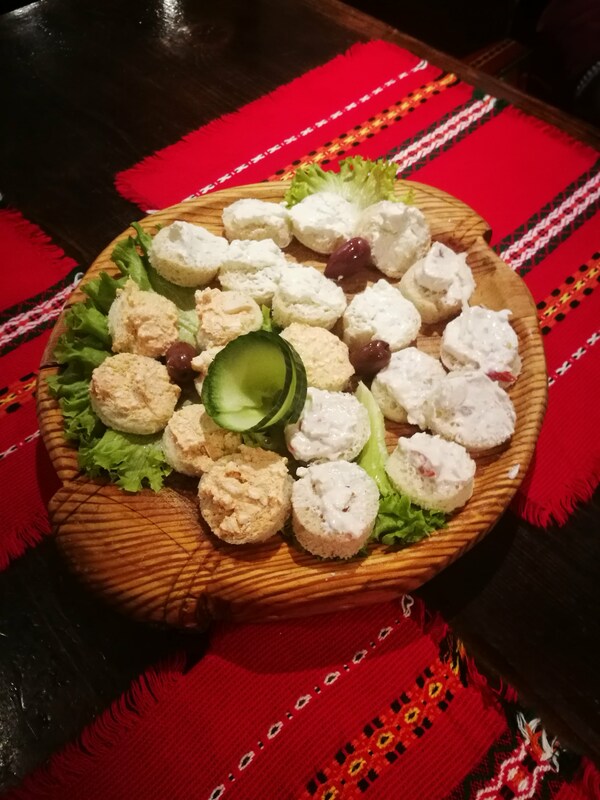 and we ended our tour in a local restaurant where we tried multiple spreads and typical Bulgarian wine. Website: http://www.balkanbites.bg / Meeting point is in park Crystal. Wanna know more about Sofia? Are you inspired to go and see this amazing city? How To Fall In Love With Sofia. We lived just two blocks from one of the Sun Moon locations when we were in Sofia and went many times. It’s a great spot!